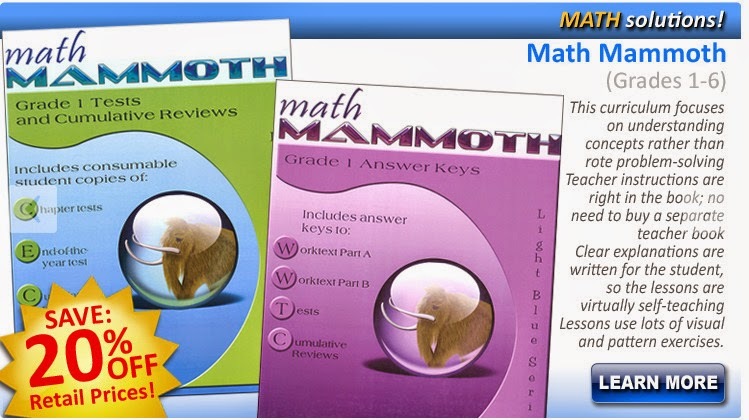 Math Mammoth printed books are on sale at Rainbow Resource Center starting today and running through January 19, 2015. The discount is 20%. Someone asked me recently to make a post about logarithms. So here goes. I already answered the person in an email but I thought I could include some interesting history tidbits here, too. Logarithms are simply the opposite operation of exponentation. For example, from 23 = 8 we get log28 = 3, and we read it "base 2 logarithm of 8 equals 3". So it's not difficult: if you understand how exponents work, logarithms have the same numbers, just in a little different places. Just as in exponentiation, a logarithm has a base (2 in the above example). Remember that in 53, 5 is called the base and 3 is the exponent. 53 = 125 and log5125 = 3. 104 = 10,000 and log1010,000 = 4. 2x = 345 and log2345 = x. Then you'd get the value of x from a calculator. 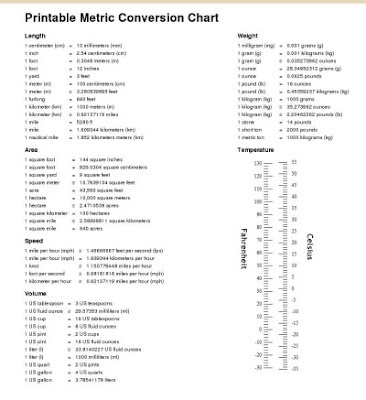 I was just sent a link to this site; all it is, is a handy one-page printable conversion chart for various US measures, metric measures, and US vs. metric measures. Includes even a comparative Fahrenheit vs. Celsius thermometer. 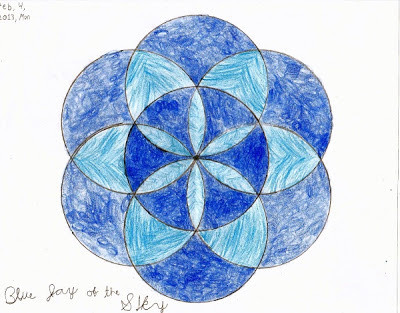 I got inspired by the blogpost Art School | Geometric Design with Islamic Art where Deborah shows how to make a neat flower design with seven circles, using a compass, and then coloring it using 2, 3, or 4 colors (or however many of your own). I think it ties in neatly with mathematics, and lets students practice drawing circles with a compass. 1. Draw a line and a circle so that the circle's center point is on the line. Then mark the points where this circle intersects the line. 2. Use those points as center points, and draw two more circles. The radius is the same all the time, so make sure you don't change it on your compass!We used 5 cm as the radius, and that made the whole design fit neatly on a regular letter size paper. 3. Now note the two points marked in the picture. They will be used as center points in the next step.